Still think houses are extremely affordable? Still think rents, especially for rental stream-securitized offerings by Blackstone et al to widows and orphans, will continue rising in perpetuity? Think again. As the following chart from Bloomberg Brief shows, mortgage payments as a % of average consumer incomes has risen to 40%, up from the higher 20% as recently as a year ago, is still rising, and is now back to levels last seen in 2008. The average monthly mortgage payment Mortgage Payments Now 40 Percent of Average Consumer Incomes for a new home in the U.S. rose by $300 between December and August, providing a potential red flag for U.S. Federal Reserve officials debating when to reduce their special asset purchases. 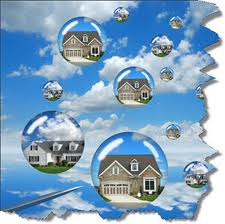 The rise was due to a combination of rising home prices and mortgage rates. In August an average monthly mortgage payment of $1,287.57 equates to about 40 percent of consumers’ average income, up from 31 percent in December, placing additional strain on household finances. While this jump is substantial, it is still far below the housing bubble peak of 65 percent registered in June 2006. Simply stated, the Fed is desperate for housing to return to its status as a source of "high quality collateral", hence repoable credit money, instead of a byproduct of cheap credit affordable only to the 1%. It is then and only then that the Fed can even consider to withdraw, and explains also why the Fed needs a housing bubble.